Communicating with your friends with high-quality voice service and other calling features makes a lot of sense, especially when you can get it at fewer rates. Customers always expect a money-saving bundle from their network providers. A complete package through which they can experience nationwide unlimited on-net and off-net calls with many other features (messages and data Mbs) is what all people need. So it is the responsibility of Telecom companies to offer flexible and convenient bundles. Not only it benefits customers, but telecom companies can also keep their position in the industry. Telenor understands how important the call is to their customers. That is why they make it the priority to keep you connected. Telenor Pakistan has always been at the lead of innovating its services as per the changing needs and preferences of its customers. As a subscriber of Telenor, you will get several incredible calling packages which can give you maximum benefit by paying less. You can select any bundle based on your needs. Din Bhar package is the new offer by Telenor. Through this offer, you can have unlimited minutes from Telenor to Telenor and data Mbs for a whole day. Best package if you want to have free talk time with a touch of free Mbs. If you want to avoid paying more for voice calls, then subscribe to Telenor Din Bhar Offer. But before subscribing, let’s have a look at the important information of the bundle. Now through Din Bhar offer you can have unlimited Telenor calls for a day and in additional extra Mbs at just Rs 8.00 including tax. Call setup charges will apply, and no extra charges will be deducted. If you want to enjoy unlimited on-net calls with your friends, subscribe to Telenor Din Bhar offer by dialing *5*727# from your Telenor connection. Wait until you receive a verification message from Telenor. The offer will give you the opportunity to stay connected with Telenor friends with unlimited on-net minutes. Plus you will also get 20 Mbs of mobile data to access the internet for a whole day. Din Bhar offer is valid for any Telenor prepaid subscriber. This offer will remain valid for 1 day. Call setup charges of 12 paise will apply to each new call. The offer will expire at 7 pm on the subscription day. You cannot subscribe this offer again until package expires. 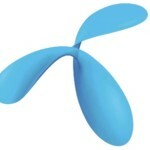 Offer mechanics and rates can be changed anytime by Telenor. Regional taxes as FED tax will apply. Stay in touch with your buddies and groups by activating Telenor Din Bhar offer at lowest possible rates. So, hurry up and activate this offer. 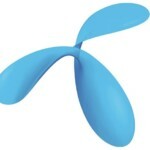 In case you are not a Telenor subscriber, get a new Telenor SIM from the nearest franchise.